www.aw.com – A&W Cruisin’ The Dub Summer 2012 Contest. A new car sweepstakes appreciated by our Canadian fans. Indeed, A&W Food Services of Canada Inc. and Chrysler Canada Inc. made the marketing promotion all summer long for this fantastic sweeps where you could win a brand new sport car. 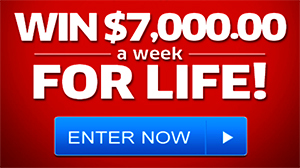 This is a popular Canadian sweepstakes that started on June 4th and will end on September 30th, 2012. If you’re Canadian you still have time to enter the contest for a chance to win the Grand Prize consisting of a 2012 Dodge Challenger SXT Plus with SuperSport Group (approximate retail value of $34,500.00 CDN.) Visit today http www.aw.ca and look for the sweepstakes banner at the bottom of the official website. There is no purchase necessary to enter the Contest. There is one way to enter the Contest: by completing an online entry form by following the links to the Contest at www.aw.ca – See official website www aw ca for sweepstakes rules and prize details. « What If I win a car, do I have to pay the Taxes?